We accept NO responsibility for deliveries where special Instructions have been given by the customer to leave parcels safe without a signature. We have spent a lot of time perfecting the packaging of our tile trim, we bubble wrap all profiles and then we use purpose made tubes in custom sizes specificaly for our tile trims. Then to this we strap a length of 2in x 1in timber to the tube to give it added strength. 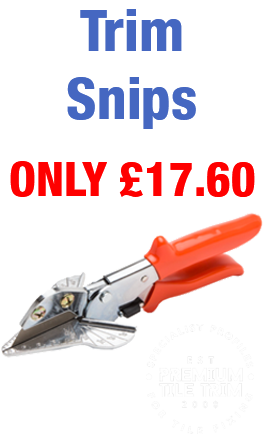 This ensures your order will be delivered in the correct condition and is kept nice and straight. We go the extra mile with our packaging as we know time can be very important and we never want to delay you or any job. PLEASE NOTE, THAT IF YOU HAVE PAID FOR A TIMED DELIVERY AND IT DOESN’T ARRIVE ON TIME, YOU MUST WRITE THE ARRIVAL TIME WHEN SIGNING FOR THE DELIVERY. FAILURE TO DO SO WILL MEAN THAT WE ARE UNABLE TO ISSUE A CREDIT FOR THE MISSED TIMED DELIVERY. Please place your postcode in the box on the basket page for an instant quote WITHOUT having to fill any other details in. Approximate delivery time; 1-3 Days. We accept no responsibility for any taxes or other costs due to customs or otherwise of the importing country. Orders should be inspected on delivery for any damaged or missing items. Only sign for items that have been received and in good condition. Should any items be damaged, delivery signature should contain "damaged" as indication, in order to be able to raise a claim and request refund or replacement. Damaged or missing items MUST BE REPORTED WITHIN 48 HOURS OF RECEIPT. Failure to do so within this timescale will void claims. Signing for deliveries, unless stated otherwise, confirms the order has been received in satisfactory condition and voids claims for damage or missing items. Thank you for visiting Premium Tile Trim.